Holley 16oz. Pub Glasses 4-pack (Series 3) with assortment of logos including: ACCEL, Mallory Ignition, Current MSD logo and Vintage MSD logo. Looking for the perfect gift for your car enthusiast? Holley continues to release more of our iconic brands with the latest Series 3 set of 16oz. Pub Glasses. This 4-pack of assorted dishwasher safe, 16 oz. 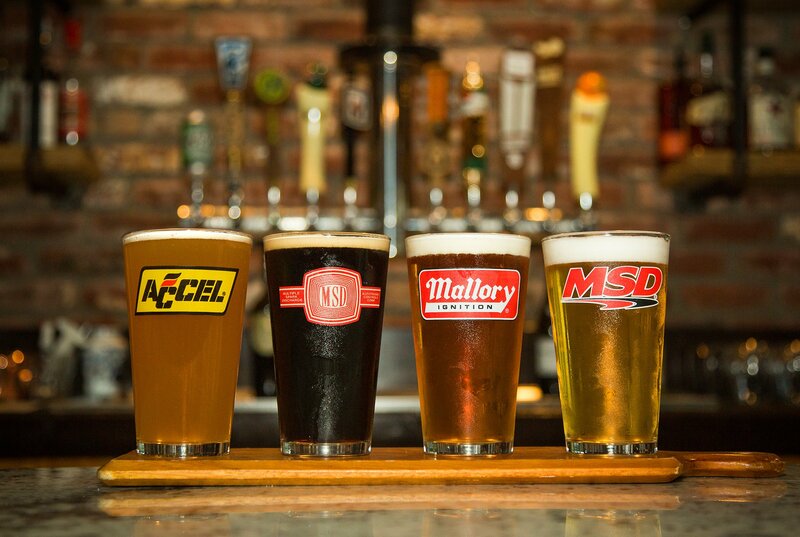 pub glasses feature the following iconic logos including ACCEL, Mallory Ignition, Don't wait, Order yours today! !